Right in the heart of inner city Melbourne is an Australian first. A feat that evidently few have managed to achieve and an initiative that should definitely be celebrated! 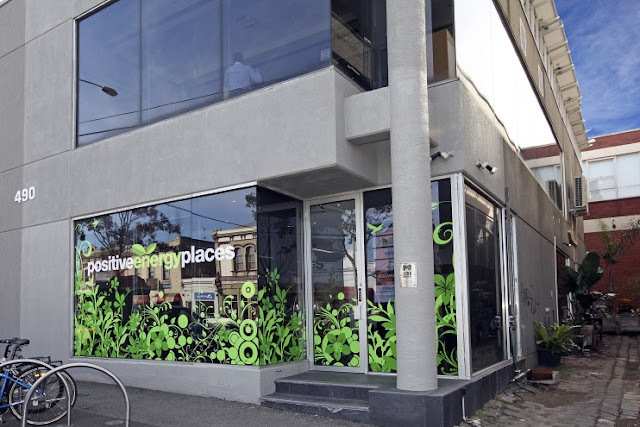 Formerly known as 'The Green Spaces' the now new and improved 'Positive Energy Places' (490 Spencer St, Melbourne, VIC) is leading the charge in Australia for going above and beyond with environmentally responsible and sustainable business practices. Despite being built in the 1980s, this two story tilt-slab office building now packs a punch when it comes to energy efficiency. The retrofit of this building began in 2009 and was officially opened a year later in September of 2010. Hundreds of additions and changes were made to the building structure and fit-out. 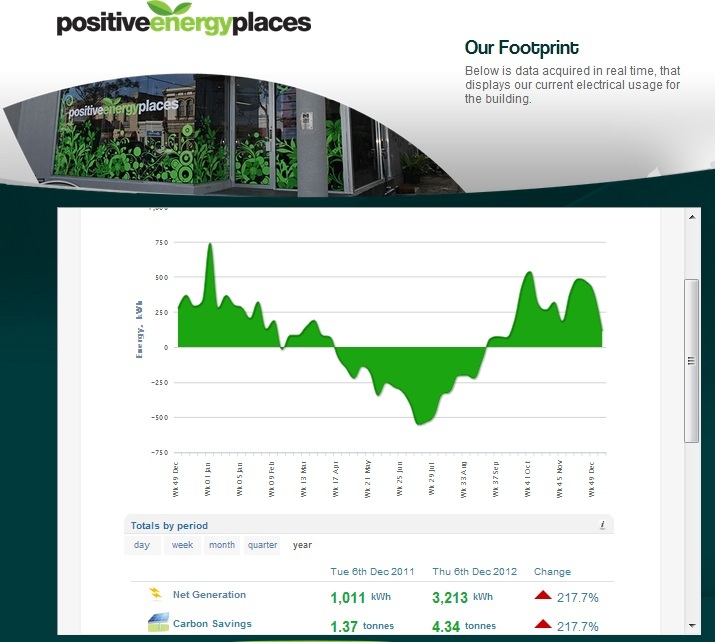 Energy losses from the building have been minimised by insulation the upstairs ceiling with high R-value insulation. Sealing gap and replacement of exhaust fans microprocessor controlled heat recovery and air quality ventilators improved air quality and reduced energy consumption. Awesome natural light has been with large windows and skylights. 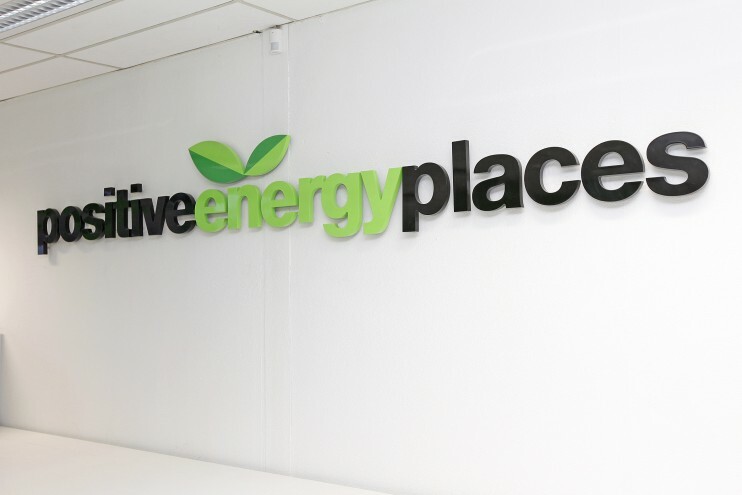 Energy-efficient T5 fluorescent lighting is used throughout the office spaces, with presence and light sensors and lighting timer buttons ensuring lighting is only on when necessary. Racks for 14 bicycles have been installed on the footpath at the front of the building by City of Melbourne. Several bicycles and one electric bike are available for tenant use. Tram stops, two train trains and a large park are all within walking distance of the office. Throughout the building and in the lane-way outside plants are situated to filter light through windows, create natural ambiance and enhance air quality. Espalier lemon trees have been planted on the rooftop deck to provide fruit all summer. All toilets in the building are 5-star rated and save 2.6 litres of water per flush compared to a conventional toilet. Water-efficient shower heads minimise water wastage. 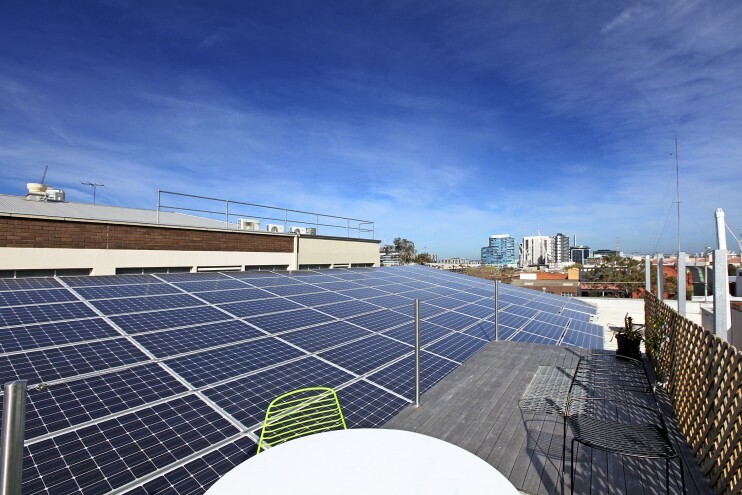 Great care was taken throughout the building retrofit to reuse and recycle materials. Second-hand furniture, workstations and carpet was sourced where possible. 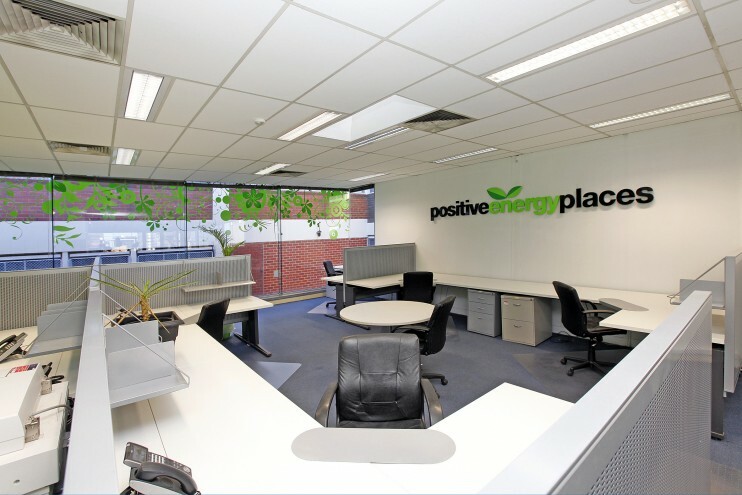 All paper used in the office is 80 per cent Australian recycled paper. Separate recycling bins (organics, paper, plastics, general) are used in the kitchenette to ensure correct processing of waste.